George A. Romero was widely considered one of the greatest horror directors in history. Wes Craven and John Carpenter likely serve as leaders in a conversation centered on the “GOAT” (that’s greatest of all time, in case you’ve been living under a rock) of horror, but George A. Romero has certainly garnered plenty of nominations from fans through the years. He basically created modern zombies. He actually said more in his Dead series than anyone I’ve mentioned thus far ever has. George Romero was a profoundly important contributor, and his passing leaves something of a hole in a lot of our hearts. Is it even possible to watch a zombie movie and not think of Romero? The Walking Dead spent a number of years ruling cable television, but it wouldn’t have if it weren’t for Romero’s (who has been honored many times since the show premiered) Night of the Living Dead. Zombie’s are arguably the most popular attractions in the current landscape of horror. That’s because of Romero. The man could easily be called a genius and few would ever argue. I certainly have no problem with that statement, though I would like to remind fans that Romero had a few serious winners under his belt that had no relation to his outstandingly successful Dead franchise. Romero had a tendency to work with Stephen King – or his source material – and the two made for a fine fit. One of Romero’s finest, and one of King’s more underrated adaptations, arrived in 1993 when Romero brought The Dark Half to life with the help of a well-cast Timothy Hutton whose character, Thad Beaumont, finds himself in a life or death showdown with what may be his own alter ego. It’s a trippy flick, but it makes for good entertainment and feels like an excellent precursor to another King tale, Secret Window. The Crazies might just be one of the most underrated genre films ever made. It’s a far cry from perfect, but it does successfully explore paranoia, small-town terror and the threat of the government. It’s all about the outbreak of a man-made virus that drives the infected insane – murderously insane, chipping away at a small town in record time. The film makes some military and government commentary, but never comes off as too preachy. Rather, it’s a fun little vintage flick that eventually earned an equally impressive remake. Is Martin really an 80-plus year-old vampire? Is it all a morbid fantasy? George A. Romero already invented a new and inspired rendition of the undead, the fact that he would also create a genuinely original vampire tale seems baffling. The man was meant to innovate, plain and simple, and those who have been fortunate enough to see this forgotten little treasure understand that even vampires are subject to a makeover from this legend. Just the idea of a quadriplegic leaning on the assistance of a monkey to get by screams terror. The possibilities are pretty damn limitless and Romero apparently saw that in the story, as he takes this often eerily realistic tale and runs with it. Fast. It’s a film that invokes as much hopelessness as it does dread, and it’s a must-see for anyone who can call themselves a genre fan. Monkey Shines has a loyal cult following, so it’s a bit easier to spot than a pic like Martin, and make no mistake, it’s worth tracking down. 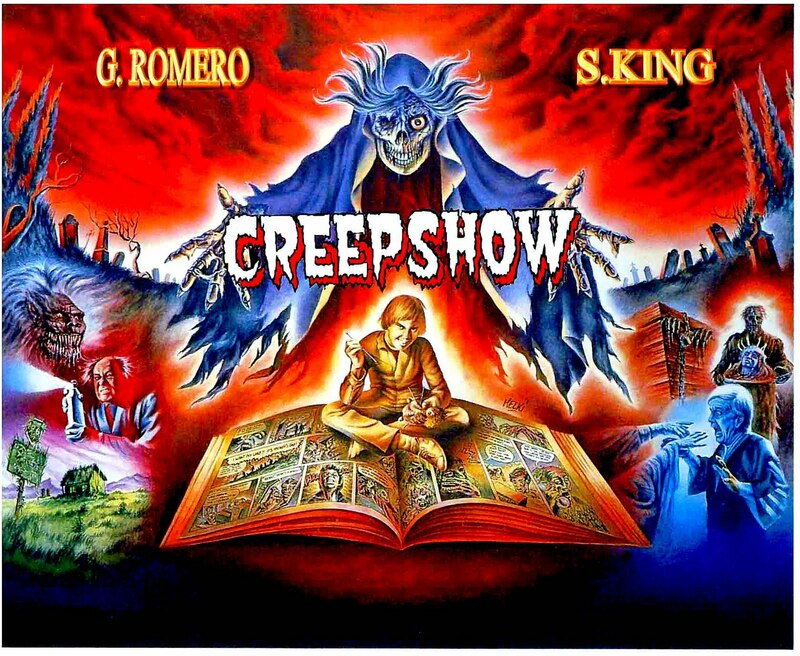 I don’t need to say much about Creepshow, do I? It’s irrefutably one of the finest anthologies ever released, and it sees Romero and Stephen King again joined for a trek into terror that few have or ever will forget. The film has a wonderful comic book presentation that helps to serve as the glue holding everything together, but it’s the short stories themselves that really stick. Favorite segments will of course differ, depending upon personal preferences, but for my money, Father’s Day and The Crate are two of the greatest horror stories told.